Most people are familiar with the chocolate bunny; the Peeps bunny; and the adorable nose-twitching, insanely soft, baby-bunneh-making, real life bunny; but few people know about the MEATster bunny. 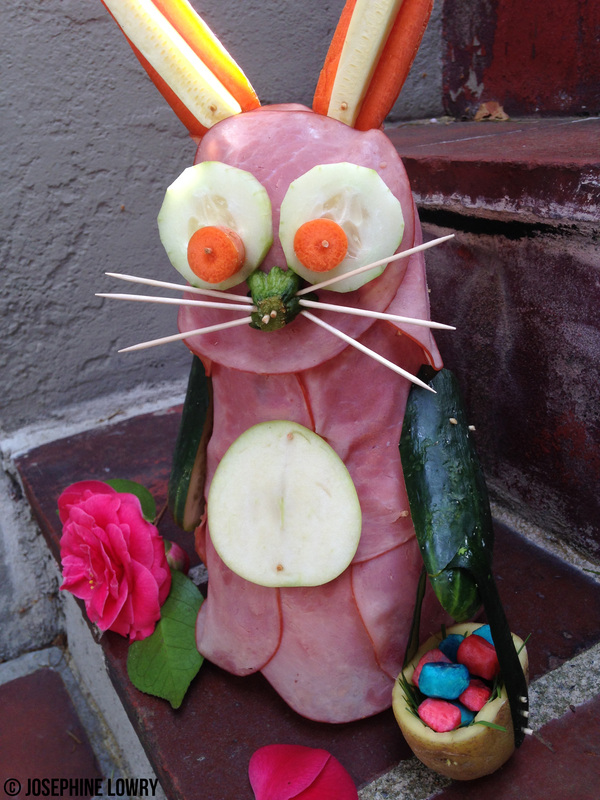 Just who is the utterly delightful, ham-covered bunny-shaped MEATster bunny? Who indeed. 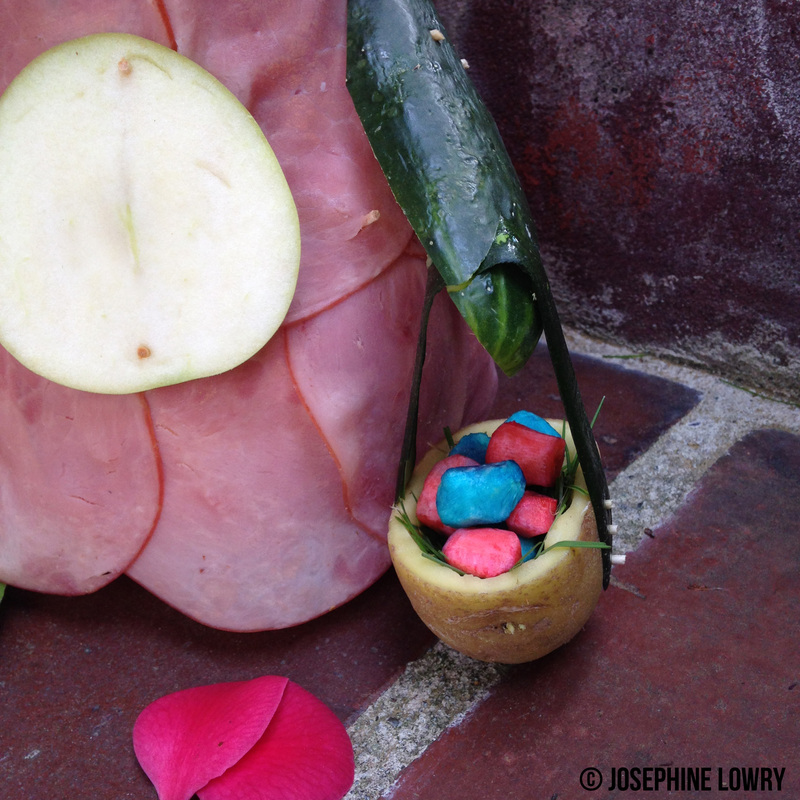 Rather than leaving a trail of jelly beans or brown-sugar and pineapple drippings, the MEATster bunny’s potato basket is full of neon-colored zucchini eggs. Yummy. What most people don’t realize however, is that the MEATster bunny’s arms are also zucchinis. The insides of the MEATster bunny’s ears are also made from zucchinis. Clearly there was a sale at the grocery. 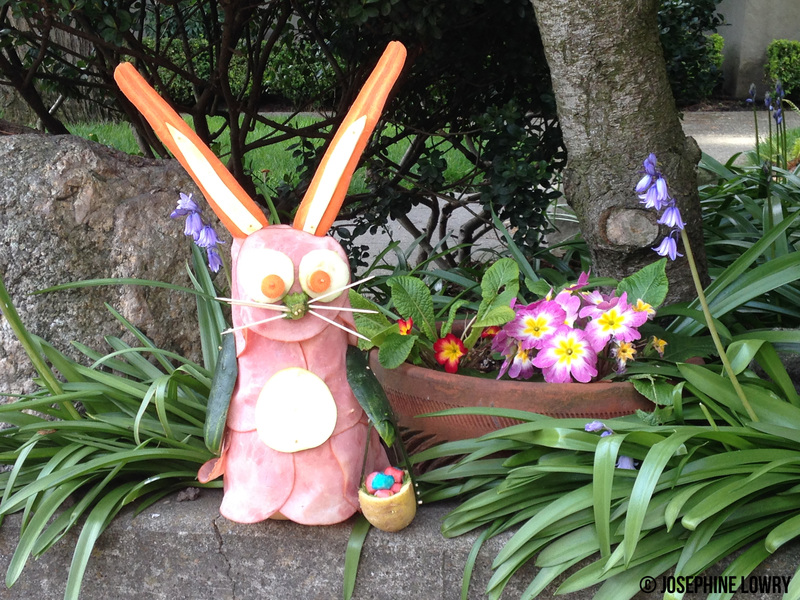 And while the other bunnies are full of hippity-hop, the MEATster bunny is pretty stationary. Of course, he likes to ham it up when he can. 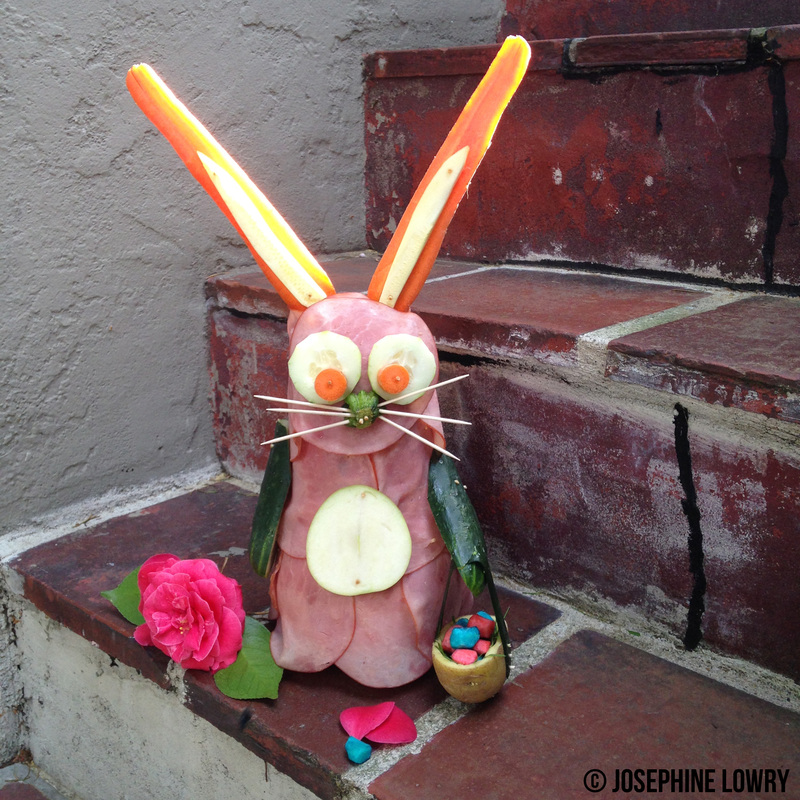 But for the most part, the MEATster bunny doesn’t get around quite like he used to. Salty holiday ham impacts us all. So when you find yourself rolling your eyes at the Great Pumpkin or other lesser holiday celebrants, take a moment to remember everyone’s unconventional Spring messenger, the MEATster bunny. Oooh, I really love this one! I’m sure Charlie did too! does big bunny like crunchy delicious tender puppies?